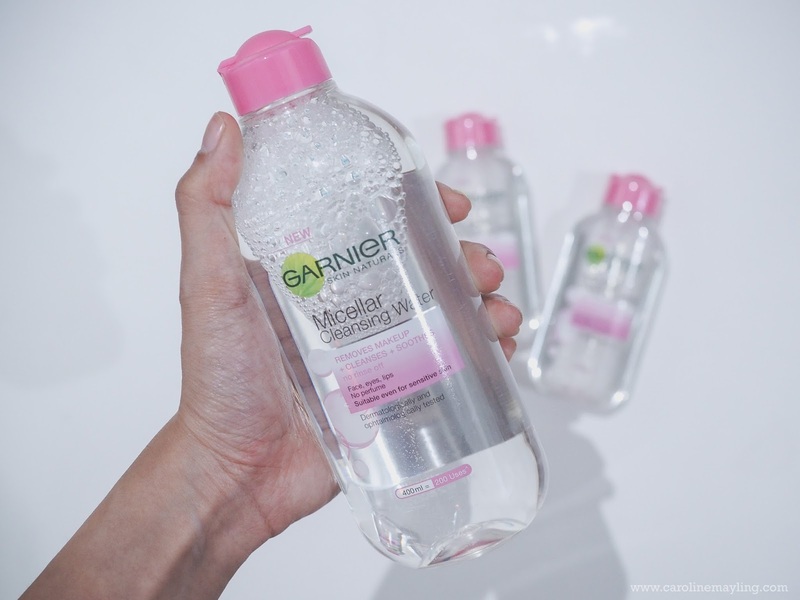 I've been hearing tons of great reviews and other bloggers sharing how amazing is the NEW Garnier Micellar Cleansing Water around the beauty community. Being someone with sensitive and acne-prone skin, I feel kinda skeptical towards all-in-1 cleanser without rinsing. With that being said, I couldn't say no when Hermo actually approached me to offer me a bottle of this product to try it out myself. It claims as the first All-in-One Micellar Cleansing Water that purifies and removes makeup in one gesture. Enriched with Micelles, it captures and lifts away makeup residue from the face, eyes, and lips like a magnet. There's no harsh rubbing needed in order to get rid of impurities and makeup, leaving skin perfectly clean, hydrated and refreshed without over-drying. 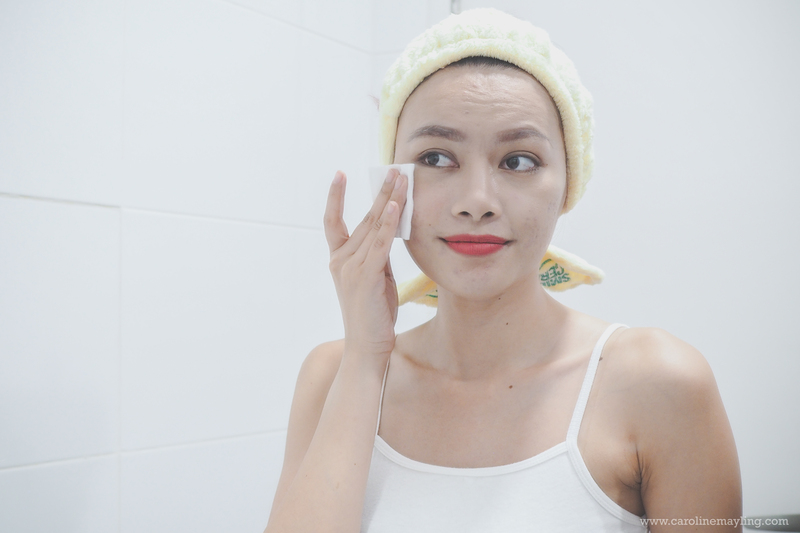 Pour onto the cotton pad and apply it onto face, eyes and lips without rubbing your skin. No rinsing required. Honestly, I was quite surprised with how it really remove my entire face makeup without any rubbing. It does what it claim, lifting away dirt, oil, and makeup without harsh rubbing. Also, it didn't leave my skin feeling dry or any tight feeling, which is good too! Most importantly, it didn't break my skin out. I really love this product and I feel like this is going to be included in my essential travel beauty product for my next trip! If you're having similar skin type like me, I would still suggest you do double cleansing for your skin for your night time routine. And oh, did I mention that it is affordable too?! Priced at RM9.90 (125ml) and RM24.90 (400ml) on Hermo! (Psst.. it's on promotion now! Grab it fast!) Also, use "HERMOXCAROLINE" to enjoy an additional 10% off on any Garnier Micellar Cleansing Water purchased from today until 31st October 2016! CLICK TO ENJOY THE PROMOTION NOW! It is definitely worth the hype! "I want to try the new Garnier Micellar Cleansing Water!" 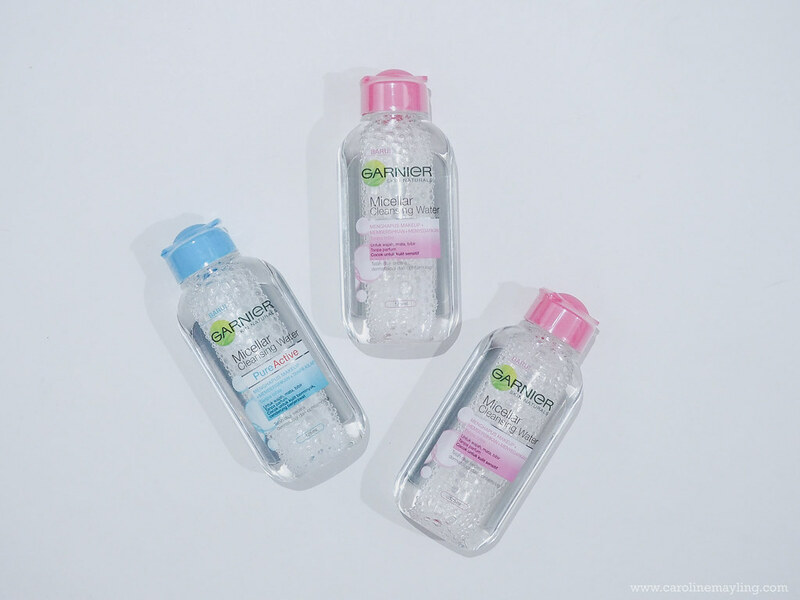 I want to try the new Garnier Micellar Cleansing Water!